We’re going to be honest with you. We thought coleslaw was healthy. While it’s not on the same level as a late night Maccas run, it’s also – surprisingly – not great to consume in great quantities (oops). After a lot of denial, tears and acceptance, we searched far and wide to source the healthiest coleslaw recipe we could find – and ladies and gents, we found it. 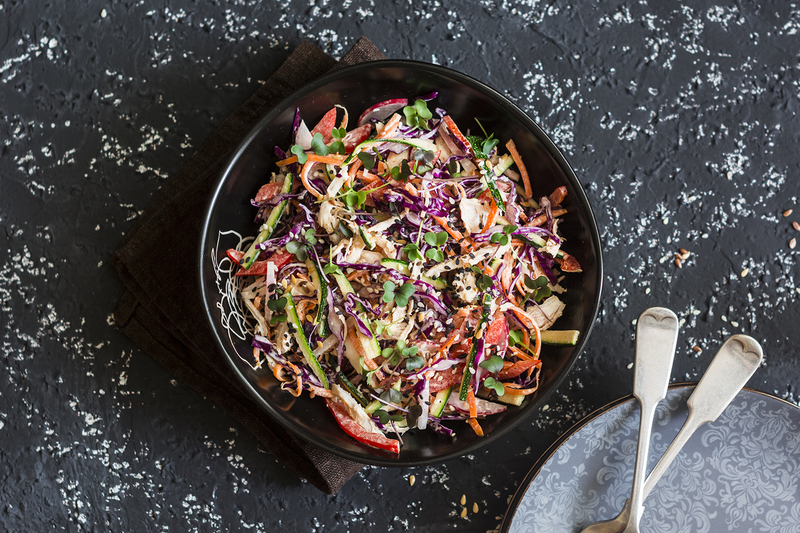 Delicious and nutritious, straight from the whole food queen herself, we present the Simple Seedy Slaw recipe from Cookie + Kate. Measure your seeds into a small skillet. Toast over medium heat, stirring frequently, until the seeds are fragrant and the pepitas are starting to make little popping noises. Pour the toasted seeds into the mixing bowl and toss to combine. To make the dressing, in a small bowl combine the olive oil with 2 tablespoons lemon juice. Add the garlic, cumin and salt and whisk until thoroughly blended.